Too Much SEO? Too Little SEO? e-commerce and web promotion yes there is such a thing. If you are running a business you are probably consumed with inventory sales, employees locations payroll family time etc. If you have to spend 10hours a day promoting your business online and performing seo at a professional level whre are you going to find the time to sleep or eat? Fortunately there is that cutoff point. You see over doing it can actually work against you. First off if you are running a business taking the time to learn SEO may not even be in the scope of your daily activities. Professionals spend years learning and adapting to constant changes in the world of SEO. Just when you think you have a system down and know what search engines like hit the breaks they change the game on you and it’s back to the drawing board. You see, in the old days of SEO, over-optimization was how sites operated when they wanted to gain rank. Stuffing a site with tons of keywords, or sending thousands of spammy links to a site was the quick-and-easy way to boost a site in the SERPs. 2. Over optimization doesn't work any more. That is because In April of 2012, Google leveled the over-optimization penalty, which completely deindexed sites that were still playing the linkstuffing and linkspamming game. You see since developing these new criteria for what makes for good seo Search Engines outlawed these Black Hat SEO techniques and made spammy sites a thing of the past. Too much seo can hurt a website bring Google penalties and pretty much make your site disappear. One trick webmaster used to use was to load a page with keywords and then make the font color the same color of the webpage in essence ghosting the words to the human eye. Only the search engine spiders could see the words and they (at the time) gave a thumbs up thus sending the webpage to the top of serp (search engine results pages). Another technique was to find blogs with content related to their own website. Then a webmaster would comment on the blog post. In the comment you could add a link back to your website. Google saw this as a weak way to build back links and it was also given penalty for weak backlinks. It is no longer advised to do this as it may result in a penalty. There was and is a desperate struggle to get that coveted top spot in search, but the shortcuts have been eliminated, what worked then no longer works and what works now may not work in the future. It's Googles world and we are but allowed to work in it. Working in the world of seo offers it's challenges and professional seo experts have learned to adapt or beleft behind. There are many ways to work hard without doing to much. The one thing we know for sure is that search engines love fresh content, Search engines love to see you active in social media. And search engines will forever be changing and adapting to this electronic medium. You can look at SEO like Goldi Locks. This site has too much. This site has too little and this site is just right. If you don;t have the time or if you have been putting too much time into SEO for your website contact an SEO Professional like Results Business Marketing. With many years of experience and many satisfied clients Results Business Marketing can be the partner to help you solve your SEO problems. Keywords, how valuable are they for SEO? Keywords help search engines like Google, Bing, Yahoo and more determine what your website and website content is all about. Identification of a websites content is important for SEO. When a search engine spider crawls your website and determines where you are going to end up in search engine results keywords will help get you there. If you are not landing on page 1 of search results it may be because you are using the wrong keywords. Have you done your keyword research? Have you checked out the competition. More than likely you are not the only business or person online that is trying to get their website recognized for a particular product or service. Whether you are a plumber, lawyer, or mechanical engineer company you are up against many other websites that are all trying to land on page 1 of Google, Bing or Yahoo. Examining your competitions website page titles keywords image tags etc. can help you identify the key words and key word phrases necessary to outrank your competition. There has been shifts in how search engines look at keywords on website pages. For instance there are single keywords and long string keywords. Search engine algorithms treat each of these with different ranking factors. Let's have a look at what defines a keyword and a long string keyword. Keywords: Search engines can't think for themselves. They rank you for the choice of your own internet keywords. 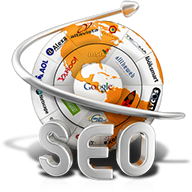 You are the one who decides which one is the most suitable keyword for that particular web page. They take you for your "word" and place you in the results for that particular internet keyword. You have to be very cautious about the choice of your keywords or keyword phrases. 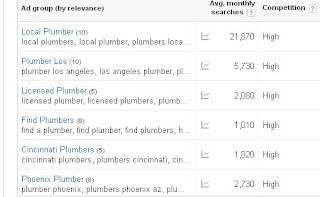 If you are a plumber your keywords may be Plumber, Plumbers, Local Plumber etc. This is a great start to guide search engines to understand what your website and it's content represent. You can expand on those into what we call long string keywords which is a string of words that also describe your website content it's location and particular products and services. Thismay include words like Plumbers in Des Moines IA, Local Des Moines IA Plumbers, Professional Plumbing Companies in Des Moines Ia. All of these types of combinations will have an impact on how you come up in search engine results. It really comes down to how people are searching for you some may have the subject then the location some location then the subject. This definitely has an impact on your search engine results. Also abbreviations like Plumbers in IA will have another search result. It is important to try and maximize the most keywords possible to maximize your search engine results. Where can you do keyword research other than your competition? There are many free tools that will help you identify quality keywords and long string keywords that will help to rank your website on top pages. Google keyword search tool is free and a great resource to understand exactly what people are searching for. This keyword tool will help you see the amount of monthly searches for a given word. 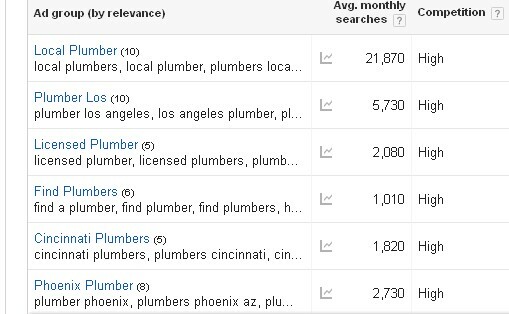 Here is an example of plumbing keyword research. As you can see different keywords offer different results. Focusing on the keywords that will get you the best search results is as important as it get's in Search Engine Optimization. Wordstream is another great resource for keyword search. There are many more but these can help you get where you need to be. To recap, search engines don't think for themselves. They rely on your ability when building a website to add keywords relevant to the topic of your website products andservices. There are many places to utilize thesekeywords, Page Titles, Image Tags and Relevant paragraphs and descriptive text. There is a happy balance to achieve you don't want to over do it or keyword stuff, and you don;t want to under-do it and not get the benefit of identifying your websites purpose. 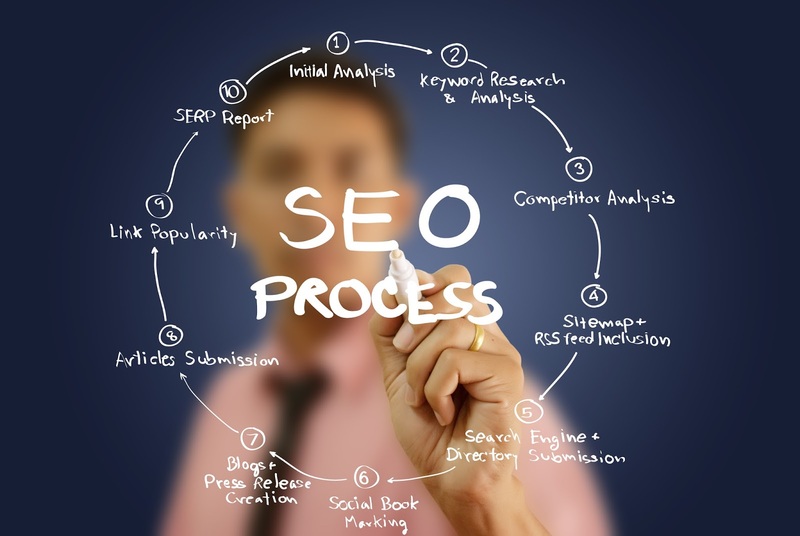 If you need help with your sebsite seo and identifying keywords to boost your search presence contact a company like Results Business Marketing. 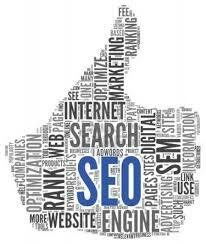 We are Search Engine Optimization Professionals. We can help you identify where a stronger use of keywords and keyword strings can help you boost your presence in search engine results pages. Video as a tool to enhance SEO. Utilizing video to boost your SEO ranking is nothing new, however it has become easier to manage even if you are not Steven Spielberg or my personal favorite Ron Howard. In 2006 Google purchased YouTube it has made this one of their signature avenues to generate traffic and thus revenue for the search giant. Depending on when you read this or to whom you listen to YouTube is the 2nd largest search engine operating today. Facebook is a close 3rd. Some say these 2 swap that position depending on the metrics used to measure the statistics, but for our piece today we will stick to the known current information that places YouTube 2nd. When performing a search for plumbers in your area, you will get the local section or what used to be known as Google Maps first then a listing of Search Results. Within those results you will notice video links. They are there because smart marketers utilize video as part of a business Search Engine Marketing and Optimization strategy. There are no guarantees that if you make a video it will show up on the Search engine results pages but there are some things you can do to increase your odds. First off making a video doesn’t mean you have to hire a camera, lighting and script writing crew. These can be made very simply with a video camera or even and Phone. I phones and Androids have excellent cameras. This type of video would be a testimonial of a current client or informational video touting your skills or expertise. Very simple and they don’t have to be long or pretty just good content related to your business. Another method is to use the basic video editor that comes with PC’s or Mac’s. You can utilize images and text to tell your story no on camera talent needed just quality images (that can be shot yourself or scrounged from the internet) and some text that describes your story. Again they don’t have to be long industry studies say 30-60 seconds max is good enough. Longer doesn’t mean you will get more SEO bang it just means you spent more time creating it. I like using services like POW TOONS this service has several packages from free to expensive depending on how many videos you are looking to create. If you are a business owner creating 1 video per week can easily be done with the free version. A couple others are, Animoto, Kizoa, GoAnimate and many more. There is a benefit to utilizing these services. They typically have templates that help you build your video. They have stock music to add to your video and you can publish the completed project to different channels like YouTube, Vimeo, etc. or take an embed code and place it directly onto your website. Once you get your video created here are some tips to give you an edge with the SEO portion of the project. It’s all about exposure whether it’s in Google Search or if someone is searching on YouTube for your industry or keywords. 1. A Video title is the name of your video so searchers know what is inside your video, having a title which perfectly matches your video content will be friendly to potential viewers and also to YouTube algorithm for SEO. Write a description about your video content, the first 2-3 lines matter a lot to achieve ranking in search engine results pages. Give a short description in 2-3 line which cover the theme of your video and what is going to be inside the video. 3. Naming your video file before uploading it. You have created and edited your video and it is ready to upload on YouTube, but you downloaded your video file as mov001.avi or random_name.mp4, make sure you rename your video as your_keyword.mp4. Naming your video file as your focused keyword actually tells the search engine what will be inside your video. This is the file name which tells search algorithm that what your video is about . 4. Tagging & Keyword research for YouTube video. YouTube gives you a lot of control over the titles, keywords and tags that will help make your video have the best chance to go viral. Utilizing tools such as Google Display Planner tool, and Google Keyword Search can help you define which keywords you want to add to your video descriptions. This is a very important step in the SEO process for video’s. Most folks just post a video and hope someone sees it. If you take the time to do it right you can get traffic and traction out of your video posts. If you would like to utilize video marketing in your SEO, SEM toolkit but do not have the time? 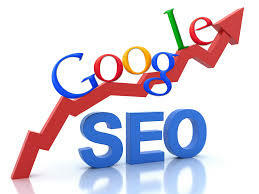 Contact a Professional SEO marketing company like Results Business Marketing. Getting companies like your results fast. SEO and Video Marketing services. Seo has a friend in responsive website design. Google once again is changing the architecture of the web by requesting all websites have a mobile friendly design. In most cases websites have been designed on 3 platforms, desktop, tablet and mobile. With responsive design one design ='s multiple looks. When it comes to SEO google rules the roost with over 70% of all searches globally. So when Google says we are going to rank responsive designed websites higher than non responsive…well you better get designing. Responsive web Design is a different approach to web design as in the past when you literally had to design 3 different sites to meet current web seo standards. Remember back in spring of 2015? Google announced it would give more weight to sites that were mobile friendly and potentially punish websites that were not. This had a huge impact on how businesses viewed their sites. There was a mad rush to ensure mobile friendly versions of websites. Responsive design solves that problem. When you build a website utilizing this type of design software your website automatically conforms to mobile standards. Depending on the type of device you are viewing a website it will automatically configure itself to that format. What defines responsive website design? There have been many advances in responsive images (detailed later in this post), but the core idea is that images should be able to shrink within the confines of a fluid grid. Traditionally, websites have been defined in terms of pixels. This is an idea that was carried over from the print industry, where a magazine or a newspaper was always going to be the same fixed size. For better or worse, this is not how websites are displayed. Rather, a website might appear in a large format like on a television, or on a very small screen like a smartphone (or even a smartwatch). For this reason, responsive websites are built with relative units like percentages, rather than fixed units like pixels. Beyond just multiple screen resolutions, web designers now have the added challenge of multiple pixel densities. Phones, tablets, laptops, and even some desktops, might have 2x or even 3x the number of pixels. Of course there is a lot of technical jargon that goes with responsive design but you get the idea. If you are designing websites or if your company is having their website redesigned you have to incorporate responsive design into the mix as it is a fact of google search life and it is here to stay. If you are in need of a website redevelopment or just a website in general contact Results Business Marketing. RBM is a Minneapolis SEO Company, the specializes in SEO or Organic Search for businesses and Website design and hosting.